Malaria is a serious condition that is common in some tropical countries. It is therefore important to take measures to reduce the risk when traveling. Whether or not your target area is highly infested with mosquitoes, you cannot take anything for granted. There is nothing amusing by being infected with malaria and if you have not experienced it before then you could do without the high fever, pained joints and sleepless nights. In order to prevent yourself from the nightmare that comes with being a malaria sufferer, there are few behavioral practices you might want to observe to do and stay completely free. Read on to find out more on how to prevent malaria. Consider where you are going and how long you will be staying for. 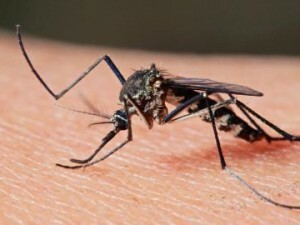 Most importantly what are the chances of being bitten by mosquitoes? Being infected with malaria is not vary considerably even within a single country. So determine your level of risk and know exactly how to proceed. Cultivate a habit of always screening an area before settling there. Do not be sloppy. If you are looking to sleep in a tent, then make it doesn’t have holes that can be accessed by mosquitoes. Likewise if you are looking to sleep in your car, make sure you have the glasses wind-up. Before going to bed, make sure the net properly tucked underneath your bed. Any loose end automatically gives those mosquitoes easy access, which is the last thing you want. There are so many effective mosquito repellents out there. Use an insect spray containing pyrethroid in all living and sleeping areas, especially during evening and nighttime hours, it’s the most effective. Wear long sleeve shirts and trousers, in the evening and at night. The less skin that is exposed, the better. Depending on the overall malaria risk at your given location, it might be necessary to practice malaria prophylaxis, either on daily or weekly basis. Most importantly, seek health care assistance and get the benefit of taking the right medications. Malaria prevention is very important and with this tips, you can be sure that it is the last thing you’ll be infected by.